Hello to all of my ribbon-loving friends! 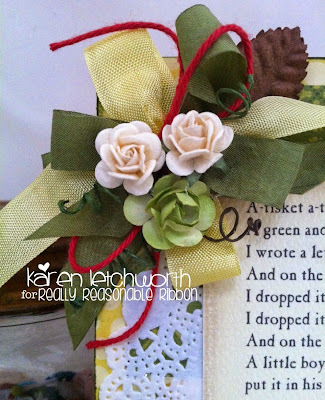 I'm posting today with two sweet cards I created for Really Reasonable Ribbon, that I'm giving to a family member. If any of you happen to have a loved one suffering from Alzheimer's, or just losing their memory, I hope you will enjoy this post. We've found that MUSIC is a great way to reconnect with those who are losing their memory. Somehow or another, all those songs are still up there in their minds. By singing old familiar tunes, they quickly open up and start singing along, tapping a foot, smiling, etc. I found a darling set of journaling cards from Carta Bella with Nursery Rhymes/songs printed on them, and have been making them into cards for my Great Aunt. We "sing" the cards to her, and she LOVES it! And Really Reasonable Ribbon helps to make my cards BEAUTIFUL. 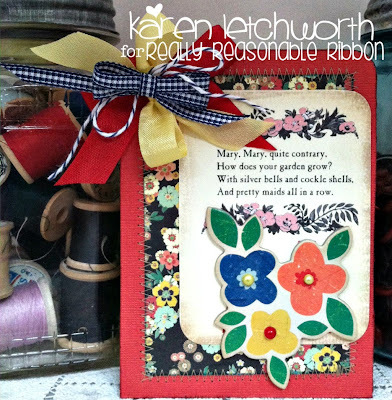 My second card uses the Blueberry Baker's Twine, Mimosa Yellow Seam Binding, Lipstick Red Seam Binding, and Royal Blue Micro Gingham Ribbon to create my bow. It's easy to see how Really Reasonable Ribbon's sweet trims help you create a bow that takes a simple card and quickly makes it something extra special. I would also LOVE to have you play along in our current challenge. Both are Stunning & Beautiful! Your great aunt will love it! I do! Oh my goodness. That nursery rhyme took me back. Way too cute! 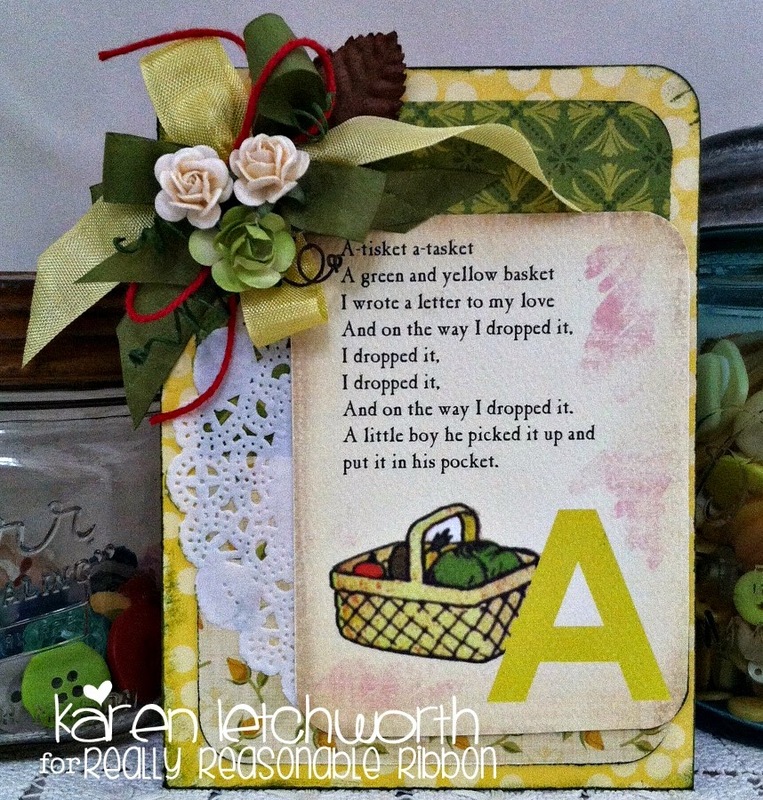 Hi Karen: both are Amazing love them I like the card for a great Aunt but that Nursery rhyme is just so cute..
What a sweet and precious idea with the nursery rhymes and songs. Very sweet projects!